Conor Donnelly, Pearse Corcoran and Ryan McCluskey preview the All-Ireland SFC Semi Final clash between old rivals Kerry and Tyrone this Sunday. As well as looking ahead to the game, Ryan tells us of his experience in dealing with the Central Hearings Committee, something which Tiernan McCann will have done this week. Find the lads on Twitter here @conorjdonnelly, @PearseCorcoran and @Clucker60. 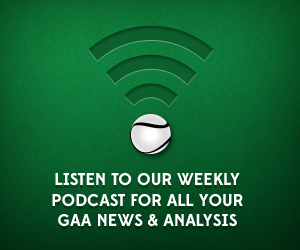 Listen to Ryan McCluskey, with the help of Conor and Pearse, review of Fermanagh’s championship run which saw the Ulster side reach the last eight. We also talk about the media’s reaction to the game, in particular Jim McGuinness’ article outlining how disturbed he was with the Fermanagh supporters’ reaction to the defeat. Something that Ryan has particular issue with.